We’d like to give our gratitude to you for stopping at Yatir Winery website. 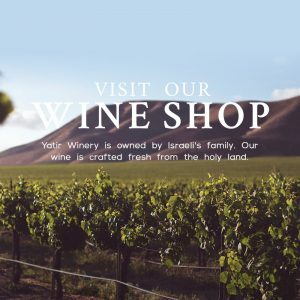 Yatir Winery is owned by Israeli’s family. 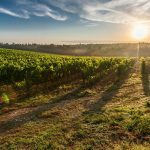 Our wine is crafted fresh from the holy land. We’ve hope you’ll take your time to visit our wine shop here in Milwaukee. With our wine, we guarantee that you will never go wrong with the taste of it whatever kind of wine palate you may have. We offer also offer our place to make it as your venue for your special occasions. To get our services, kindly send us an email at inquiry@yatir.net. Expect our immediate response to all of your messages within 24 hours. Yatir Winery loves to hear all of your suggestions and concerns, please send us your messages through feedback@yatir.net. We do appreciate your messages and consider it as a huge help in enhancing our services. Thank you and we look forward to seeing you at Yatir Winery in Milwaukee.